Travel back in time to witness one of history’s most unlikely meetings of the minds. 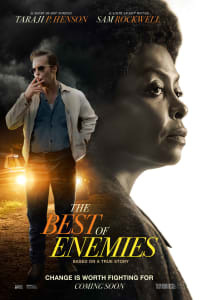 THE BEST OF ENEMIES, opening on April 5, shares the story of a civil rights activist and a Ku Klux Klan leader who faced off in the racially divided town of Durham, North Carolina. As the debate of the desegregation of schools loomed over Durham in 1971, Ann Atwater and C.P. Ellis were outspoken advocates for opposite sides of the issue. When they were selected to serve as co-chairs for a two-week series of meetings to address the town-wide turmoil, Atwater and Ellis had to communicate more directly than they ever would have expected — and they had to work together. Here’s the superb cast who will bring these historical figures to life. Taraji P. Henson leads the cast as grassroots activist Ann Atwater, who dedicated herself to improving life in Durham by fighting poverty and discrimination. Atwater co-led the two-week charrette, which was convened to resolve arguments over desegregation in local schools. 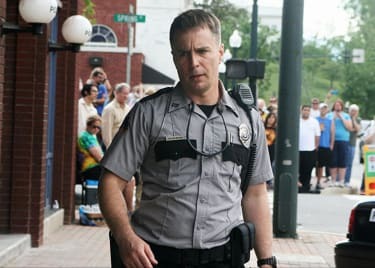 Sam Rockwell plays Ku Klux Klan leader C.P. Ellis, a segregationist and Atwater’s strongest opposition leading up to and during the two-week meeting in Durham. Ellis eventually began to realize that he and Atwater had a few things in common. (Beyond, you know, being people.) During the 10 meetings that made up the charrette, Ellis began to question his life as a Klan member and, more importantly, the best path forward for his community. 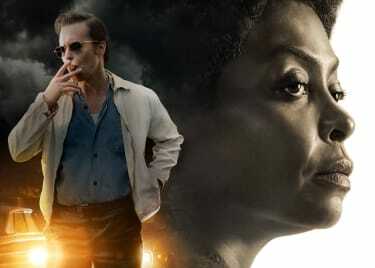 Sam Rockwell rounds out the film’s powerhouse duo. Lately, he’s best known for his Oscar®-nominated work in VICE and THREE BILLBOARDS OUTSIDE EBBING, MISSOURI. (He won for the latter.) Rockwell also has an acclaimed body of work that stretches back two decades, with big roles in films like THE GREEN MILE, CONFESSIONS OF A DANGEROUS MIND and MOON. Babou Ceesay plays community leader Bill Riddick, a key player in the segregation debate. Riddick was tasked with putting together the two-week charrette and chose Atwater and Ellis to serve as co-chairs for the event. Riddick certainly didn’t see eye-to-eye with Ellis or his allies, but he gave both parties equal opportunities to state their cases. Anne Heche (seen above in “The Brave”) plays Mary Ellis, who is married to Rockwell’s character. When Mary saw how racial tensions were tearing the community apart, she forced her husband to take a long look at what he really stood for. It’s probable that her encouragement helped change C.P.’s outlook during the summit. 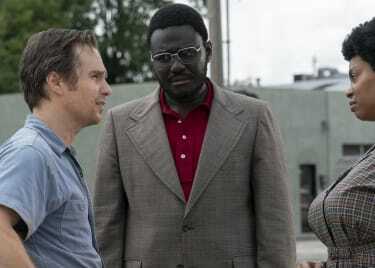 THE BEST OF ENEMIES features a stellar supporting cast that includes Bruce McGill, John Gallagher Jr., Nick Searcy and Sope Aluko. The cast notably includes actor Wes Bentley (seen above in PETE’S DRAGON). Although not much is known about his role, including his character’s name, he is revealed to be on the side of Ellis and his men, at least initially. THE BEST OF ENEMIES opens on April 5 at AMC.